It's time for your hard work to work hard for you. Not long ago, “retirement” for many people meant living on a combination of Social Security and a fixed pension. Today, retired people are living longer and better, and many plan to enjoy their golden years. The problem is that those fixed pensions, for many, have disappeared – which has put much more emphasis on the importance of pre-retirement planning (which, for our purposes here, refers to a plan for an individual’s transition to retirement). Today, many people transition into retirement gradually over a period of months or even years. Unfortunately, for many, this transition occurs abruptly and unexpectedly, through either a layoff or disability. Few can predict with certainty which day will be their last on the job. In the absence of predictable retirement dates, many people put off the serious planning that should take place before retirement. Instead of planning for the changes in their lifestyle that their changed financial circumstances may require, they wait until it’s too late to properly plan. This can lead to hasty, ill-conceived decisions, and a rocky start to their golden years. As a general rule of thumb, it’s a good idea to start serious retirement planning at least one year before the transition period begins. This allows adequate time to obtain professional help, understand the many choices available, and make well-thought-out decisions. Investment asset allocation - Retirement is a good time to assess how much risk you want to take with your investments. Once you stop working full-time, it may be harder to replace assets lost if markets suffer a downturn, since your investment time horizon will be shorter. An asset allocation process designed for a specific level of risk, with the appropriate diversification among asset classes, although not guaranteed, may help make market volatility less severe – especially when not every asset class has lost favor with investors. Social Security benefits - The decision of when to begin Social Security retirement benefits is important, and usually can’t be changed once made. If you are eligible for Social Security, you may be eligible to begin receiving monthly income benefits as early as age 62. However, permanent benefit reductions are imposed for each month that you collect benefits before your Normal Retirement Age (age 65 to 67, depending on your age). As retirement nears, it’s a good idea to periodically check your free Social Security Statement, which contains your earnings history and an estimate of your future benefits. To get yours, visit www.ssa.gov. 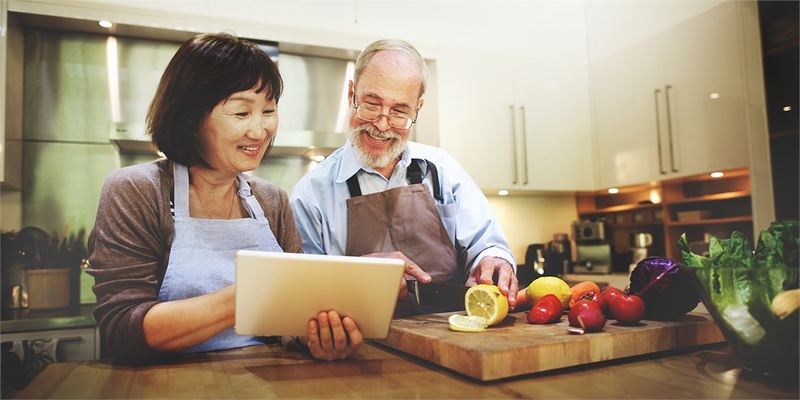 Health benefits - This can be a major issue for people who retire prior to age 65, when Medicare and Medigap coverage may begin. Many employers do not extend their group health coverage beyond the period required by law. Even if they do, many retiring workers must pay their own premiums. At age 65, coverage under Medicare Part A (hospital) is automatic for most, and most retirees also elect to pay the modest premium required for Medicare Part B, which covers doctor bills and miscellaneous medical charges. It’s also important to evaluate private Medigap policies, which can help to cover Medicare copayments and deductibles. directly roll over the account balance to an IRA. Choose carefully, since the old saying “actions have consequences” definitely applies here. For example, before you accept a check for your entire account balance, be sure you understand the tax implications of that choice – as in most cases, any federal (and, if applicable, state) taxes you owe on your money will be due all at once – for the year in which you received your payment. This usually means that you’ll pay much more in taxes than if you chose another option. On the other hand, if you choose the monthly income option, make sure you carefully consider the kind of payments you’d like to receive, particularly if you are married or have a partner to consider. Finally, with the rollover, even if you meet the rollover deadline (60 days), your current plan provider will withhold 20 percent of your account balance in the form of withholding taxes if you receive the money directly (i.e., if your money is not transferred directly from one retirement plan provider to another, but you receive the check instead). To avoid paying taxes on that 20 percent for the year – as well as a possible 10 percent penalty – you must use your own funds to replace that sum by depositing the same amount into your new IRA within the 60-day deadline. Estate planning – It’s best to start this planning as early as possible. In recent years, there have been numerous changes in estate tax laws, and more are potentially on the horizon. That makes this a good time to review any existing estate plan you have, and also to take care of important details such as writing a will or creating trusts. Don’t wait until you’ve reached the point where you feel pressured to make major retirement decisions. Be sure to obtain the information and guidance you need to calmly consider all your choices well ahead of time. Competent financial and legal professionals can help you chart a course for retirement, as you try to project the levels of income and assets you’ll need to maintain your desired lifestyle. In pre-retirement planning, you will make some of the most important financial decisions of your lifetime. Don’t make them in haste – or on your own. ¹Policy benefits are reduced by any outstanding loan or loan interest and/or withdrawals. Dividends, if any, are affected by policy loans and loan interest. Withdrawals above the cost basis may result in taxable ordinary income. If the policy lapses or is surrendered, any loans considered to be a gain in the policy may be subject to ordinary income taxes. Dividends are not guaranteed.